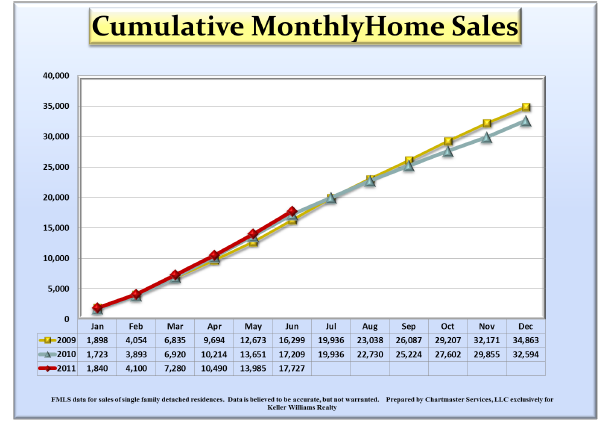 As you can see from this chart which shows home sales during this declined market, home sales are actually quite consistent. It's just that only the ones that represent exceptional value sell. If you price it at the right number, it's impossible for it not to sell. So the obvious question is that if you list it low and it sells fast, doesn't it meant that you could have listed it a little higher, waited and got a higher offer? The answer is of course no. Emphatically. 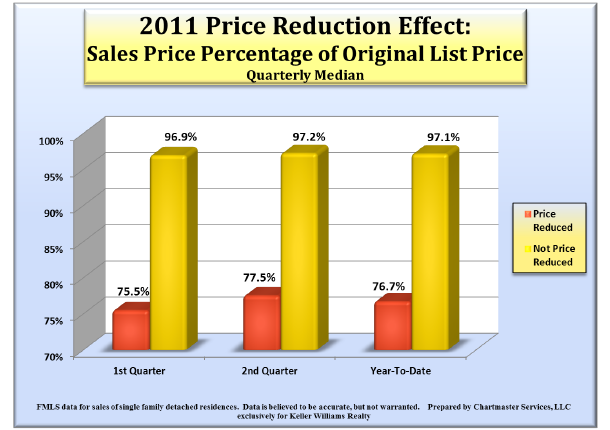 If you overprice your home and need a price reduction to sell, it will sell for less than it would have had you priced it correctly to begin with (see charts below). This second chart is very telling. If you price high and reduce, it will sell for less than it would have had you priced it correctly to begin with. It is possible however to have missed the mark by pricing it a little bit too low. Guess what happens next...you get multiple offers and the price will be brought up to the highest possible price. Still not convinved? Look how long it will take if you overprice your home instead of pricing it correctly (pay special attention to the fact that it doesn't matter at all at what price point your home is in). 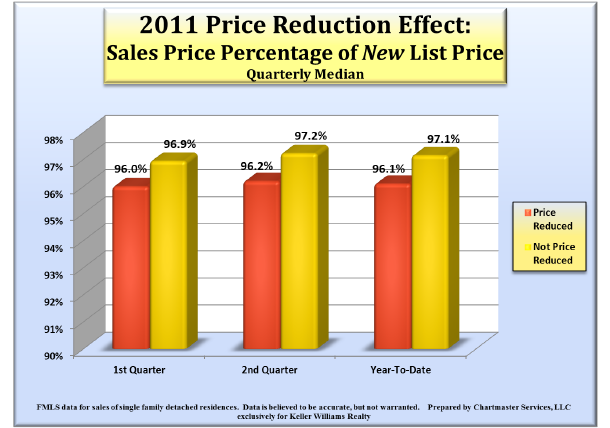 Red is the time to sell of homes that did not get a price reduction. Yellow is homes priced correctly at the start. So, don't fear low pricing. It's your best chance to get the highest amount for your home. Great post Ryan. We have been seeing a lot of high priced homes here in Phoenix lately where they then start to accumulate a high amount of days on market. What does that tell these buyers? Low ball the heck out if which almost never works so it's very frustrating for everyone. As a real estate agent this article helped me lot. Sometimes really i am trying my best to get best price for the property but we will not get the right value. When we deal under downtime we need to put or sweat & blood to get the average value. A detailed information of the real situation of the home price. Such a great work Ryan. Thanks for being so generous to share. The charts are great Ryan. I'm going to have to get building some charts like this for my listing presentation. Establishing the listing price for a home is hard in today's market. You're right though, it can't be priced too low. It will receive multiple offers if the home is priced low, and will probably sell for more than it would have if it were priced right on in the beginning. Great piece of Real Estate 101. Hope the new site is doing well for you. Love your charts. It's not easy to convince sellers that they shouldn't price their homes with 'negotiating room.' They have to get an offer to 'negotiate' and if it's too high, it's unlikely they will get any offers. It is a highly resourceful post. 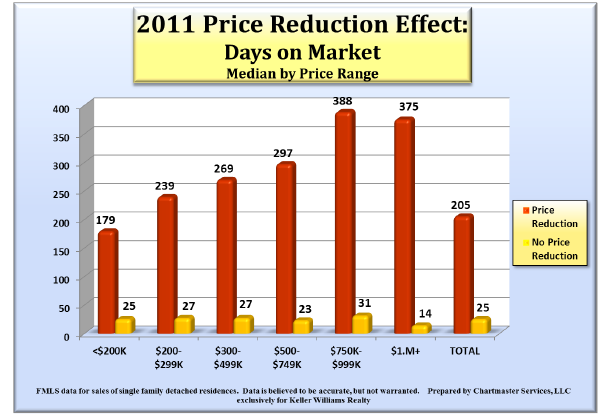 All real estate goes through the low price problem in the down market. Knowing how to tackle this problem can be useful for making money even in the down market. Sharing each person's point of view also helps a lot. Thanks Ryan for sharing your point of view on tackling down market price. I certainly learned a lot from this post. Great post! We have found 'denial' to be an all-too-common condition with new home sellers, particularly older ones. If a seller is really fixated on a take away amount, we have found that discussing the market and what people are paying for similar homes can sometimes do more to irritate them than educate them. If they really want to sell, they have to decide if the price they get is worth it to move on with their lives. Prices are relative, value is relative, and the market never lies. I agree that you can not underprice a home. Pricing a home too high in the beginning eliminates traffic to the property and subsequent price drops result in chasing the market down. The market sets the price of the home. I agree and can remember having this discussion over the years even in the great market. Pricing a home under what would be perceived the appropriate market value is smart as it attracts more buyers and drives the price up ~ however, not easy to do. Even tougher now for sellers who purchased within the last 5-6 years and have to list for much less than they paid. Great charts BTW! Old habits die hard. For as long as I can remember, sellers have assumed that they need to price above what they'll accept because they "know" buyers will want to pay less than list price. That makes it tough on everyone concerned - especially the hard working real estate agents! Hi Ryan, I have been in the business for 25 years and what you say today held true back then, even in the good market. It is always about the right starting price. Great article! This is the kind of information all agents need to use to educate their sellers. A quick sale for the highest possible price is what we all want right? Great post. Hello Ryan, you are right on the money. Most sellers do not understand what the word "market" means. It's really simple economics-you can not underprice your home because the price will be bid up to reach fair market value. Great advice and graphics. HUD knows this which is why the hud/homepath deals go to multiple offers. Actually as a buyers agent a buyers market is much harder because there is so little correctly priced (or even close) inventory and having something not appraise can be very bad.